God I hope not, this would be one ugly Minnesota Wild jersey. Coming into the season, a Wild player hadn't scored a hat-trick since January 17, 2010, when former Wild forward Guillaume Latendresse scored a hat-trick against the Phoenix Coyotes... Almost four years later a Wild player did it again against the Coyotes. The Wild now have two hat-tricks in six days. So, tip of the hat to former Bulldog forward Justin Fontaine for leading the Wild to a 4-1 victory over the Desert Dogs. For all of naysayers that said Fontaine wouldn't make the Minnesota Wild, he's been up with the Wild since the start of the season. Ahem, just to refresh everyone's memory. Blue Jackets forward Derek MacKenzie has been suspended 3-games by the NHL's Department of Player Safety for this hit on the Phoenix Coyotes Oliver Ekman-Larsson. The bigger shocker, there was no penalty called on this play. Wow! I have never seen anything like this. This is Wild. This is the description of the goal from the Buffalo Sabres site. You may never seen anything like this again. Mark Pysyk, who was recalled from the American Hockey League on Monday afternoon, was credited with the game-winning goal when Coyotes forward Martin Hanzal knocked a loose puck out of the air and into goalie Mike Smith's hockey pants. Smith slid backward into the net to prevent a rebound opportunity not knowing the puck was in his equipment. A review of the play confirmed the puck crossed the line. Max Domi of the London Knights, was suspended 4-games by the OHL for this dirty hit on Guelph Storm's Brock McGinn. As you can see from the video, Domi targeted the head of McGinn, and one could make the argument that Domi deserved more than a 4-game suspension. Max Domi suspended four games. NHL officially announces sale of the #Coyotes. Looks like the NHL's Coyotes are going to stay in Phoenix, Arizona. With the approval of the NHL board of Governors, this saga is over. There has been some question over the last few years. Finally, there is an actual deal... Here's the official press release for the sale. It's official. #Coyotes sale has closed with NHL Board of Governors approval. This is one of the hits in the NHL last night, that got a little bit of scrutiny, St. Blues forward David Backes blasts Phoenix Coyotes defenseman Ekman-Larsson from behind. Backes received a two minute penalty for boarding on the play. This is a dangerous hit, these are the types of hits that the NHL is trying to remove from the game of hockey. I can't believe that Backes was the only one that got a penalty out of the scrum. It also appears, that the hit on Ekman-Larsson was in retaliation for a hit earlier in the game, that went uncalled. It was a Wild third period, after an uneventful first two periods. Calgary forward Jiri Hudler scores a beautiful goal and the Wild score two goals by Jason Pominville and Pierre-Marc Bouchard in 1:13, before the Flames scored their second goal. What was even more interesting, after playing in the Frozen Four this past weekend, former Saint Cloud State Husky Ben Hanowski scored his first NHL goal for the Calgary Flames in his first NHL game. This is one of the things that I like about the NHL. The players sort things out on the ice and settle things like men. Last season, during the Stanley Cup Playoffs, Raffi Torres steam rolled Marian Hossa with a dirty and dangerous hit. Hossa suffered a concussion and Torres was suspended for 25 games. Torres appealed the suspension, and the NHL reduced his suspension to 21 games. Torres is now back playing with the Coyotes after serving his long ban. I guess you could say that we all knew that this day would come, and the first time that the Phoenix Coyotes played the Chicago Blackhawks, Torres would have to answer the bell against the one of the Blackhawks players. The hockey code demanded it. Torres didn't turtle, he answered the bell, and did quite well against Jamal Mayers. Tuesday at the Links… The No Hockey League and "Sloppy Seconds"
Good morning and there are now roughly 32 days until the University of North Dakota plays it’s first exhibition game against the Manitoba Bison. Here is a story that is just too good to pass up. Toronto Maples Leafs defenseman Dion Phaneuf is now engaged to former 24 actress Elisha Cuthbert– in case anyone has forgotten, Cuthbert was the center of a crude and disparaging comments that Sean Avery made about her while he was a member of the Dallas Stars. "Uh, I'm really happy to be back in Calgary, Avery said. "I love Canada." "And I just want to comment on how it's become like a common thing in the NHL for guys to fall in love with my sloppy seconds. I don't know what that's about. "Enjoy the game tonight." Avery was suspended indefinitely by the NHL for those comments and after his suspension he was traded to the New York Rangers and he has since retired from the NHL. Here is all you need to know about the star studed engagement - Exclusive: Elisha Cuthbert Engaged to Dion Phaneuf: All the Details! If this doesn’t sink for you - The Ottawa Senators have begun preparing their fans for the strong possibility of an NHL lockout. Former Minnesota Duluth Bulldog and current Vancouver Canuck defenseman Jason Garrisonis growing a beard and he says that he'll keep the beard until the National Hockey League and its players sign a new CBA. Garrison might have to trim that beard or it could get pretty long. The on going saga that is the Phoenix Coyotes; deal with Glendale in flux . University of North Dakota Defenseman Andrew MacWilliam made the latest Hot List. Andrew MacWilliam, D – University of North Dakota (WCHA) Never to be confused with an offensive dynamo, MacWilliam has nonetheless been a sturdy, physical presence on the UND blueline during his first three campaigns. Entering his final year in college, the Calgary native will don the green sweater as captain, with Habs prospect Danny Kristo as one of the assistants. Drafted 188th overall by Toronto in 2008. Julie Robenhymer from Hockey Buzz has her Hobey hopefuls in August 26th, blog post and she has UND senior Danny Kristo as a Hobey Favorite. Danny Kristo - Senior, F, North Dakota, MTL: Kristo has always been a notable player as a product of the USNTDP and gold medalist at the 2010 World Junior Championship, but it took a severe case of frostbite on his toes in his sophomore season that nearly resulted in amputation and the thought of life without hockey to push his game to another level. Decimated by injuries last year, the team formerly known as the Fighting Sioux, struggled throughout the season, but Kristo still managed to be a point per game player with 45 points in 42 games. North Dakota will have a very young, yet very talented team this season and Kristo will be a big part of their success. He brings leadership, versatility and an unquenchable desire to bring a national championship to Grand Forks. It was announced yesterday, that Pittsburgh Penguins star Evgeni Malkin has an agreement to play for Metallurg Magnitogorsk of the KHL when if there is a lockout in the NHL next month. Check out the offseason diet that Montreal Canadians diver defenseman P.K. 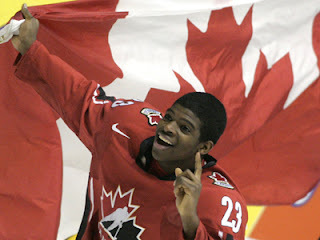 Subban enjoys – sounds as if Subban eats a lot of protein and red meat. Dan Rosen, NHL.com Senior Writer --- Montreal Canadiens defenseman P.K. Subban reads off his breakfast menu without a single change in his facial expression. For him, barbecuing a steak at 7 a.m. and pairing it with freshly blended vegetable juice, fish oils, Vitamin C and various other multivitamins is absolutely normal. No eggs. No toast. No potatoes. "I eat a lot of protein -- steak in the morning, steak in the afternoon, fish, chicken," Subban told NHL.com during a recent trip to his training facility. "At the start of the summer I order a whole cow from a grain-fed farm. I have it at my parents' house and my mom will season [the butchered meat], and I'll pick them up to have steaks for the week." Jokes aside, Subban actually does eat the whole cow he orders each summer. Today, the NHL's collective bargaining talks are set to resume in New York City. TSN.CA --- The biggest issue holding up talks is finding agreement on how the league's revenues should be split up. Players received 57 per cent under the expiring CBA and the league wants to see that number reduced considerably. The NHL's initial offer involved cutting the amount to 43 per cent, although it has indicated a willingness to negotiate off that number. Based on last season's revenues, every percentage point lost would cost the players $33 million. After capitulating in the last round of negotiations and hiring Fehr to lead them in this one, that group appears ready to fight against significant givebacks. The Toronto Sun compares the CBA’s of the Major Sports in North America; Breaking down the deals the four major sports leagues are working under. The Hockey News has the Boston Bruins finishing second in the Eastern Division and facing off in the first round of the NHL playoffs against the Buffalo Sabres. In the same article the Hockey News had the Minnesota Wild finishing fifth and facing off against the Chicago Blackhawks. I will take the Wild in six games. Charlie Pelnik, D – Shattuck St. Mary’s Sabres (Minn. HS) Easily the most talked-about prospect ever from North Carolina, Pelnik will suit up for the USHL’s Fargo Force this season after a great run with Shattucks. The 6-foot-4, 190-pound blueliner from the Jr. Hurricanes system is committed to the University of North Dakota, where he’ll bring a Pronger-esque nasty streak – though Plymouth owns his OHL rights. 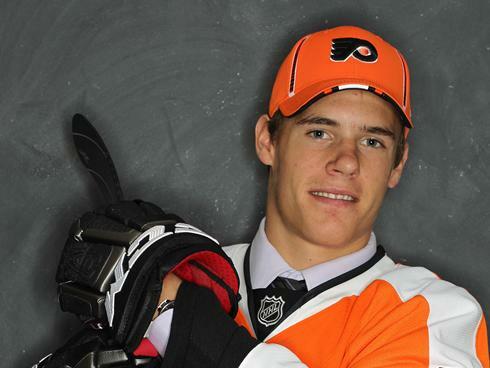 Draft eligible in 2013. Finally!!! In the never ending saga that is the Phoenix Coyotes there is finally some good news for the Yotes fans. Ken Jones and Joe Cobb effort to put a referendum on the November ballot has failed when they missed the July ninth deadline to turn in 1800+ signatures. The Associated Press --- The Glendale City Clerk's Office has rejected petitions that sought to put a referendum on the November ballot about the Phoenix Coyotes' pending arena management deal. Ken Jones and Joe Cobb said they wanted to give voters a chance to decide whether to overturn Glendale's 20-year, $324 US million lease agreement with potential Coyotes buyer Greg Jamison. The City Council approved the deal last month. Apparently the referendum organizers don't want to go away quitely into the night. One of the lead organizers of the petition drive Ken Jones, told the Republic's Lisa Halverstadt. "I am one of the two originators of the referendum. We still expect a public vote on Glendale's expensive lease with Jamison, the potential owner of the Coyotes hockey team. "We are determined to force fans to pay for their hockey. If the public doesn't get to vote on the Jamison lease, we have two backup plans. NHL Team in Las Vegas? Apparently, Las Vegas Arena Foundation of Las Vegas is considering building an arena big enough to support an NHL or NBA franchise. In the past Las Vegas has been named as a possible location to relocate the Phoenix Coyotes. One that has prevented any of the major sports from having a team in Las Vegas has been the gambling issue. Las Vegas Sun --- proposing a 20,000-seat indoor arena to be built on the Strip on land owned by Caesars Entertainment behind Imperial Palace. The facility would be suitable for an NBA or NHL franchise, as well as other events such as concerts or the National Finals Rodeo, which has been at the Thomas & Mack Center since 1985. The LVAF is planning to fund the $500 million project by implementing a 0.9 percent sales tax for specified businesses within a three-mile radius of the proposed location. The Las Vegas Arena Foundation is a nonprofit organization formed to develop an arena specifically on land donated by Caesars Entertainment. The foundation’s chairman is former County Commissioner Bruce Woodbury. Other foundation leaders include Marybel Batjer, an executive with Caesars Entertainment; Danny Thompson, president of the AFL-CIO of Nevada; and Pat Shalmy, former Clark County manager. Could be a good potential location for the NCAA Frozen Four and the Final Four in Men's and Women's Division I basket ball. I have seen this idea bandied about the internet the last few days - can you imagine if the NHL decided to just fold the Phoenix Coyotes and hold a dispersal draft? David Shoalts, the Globe and Mail --- Bettman has long refused to consider moving the Coyotes. Doing so now would be difficult but not impossible. But the only candidate with an arena that could be whipped into NHL shape quickly is Quebec City and Bettman has never shown enthusiasm for that move. In some NHL circles, a more drastic solution is envisioned. The Coyotes could simply be folded, its 23 players sent to other NHL teams through a dispersal draft and the league would operate with 29 teams next season. This would allow the NHL to collect expansion fees of $200-million or more each from Seattle and Quebec City, the top candidates for NHL teams, rather than a single relocation fee of $60-million or so for the Coyotes. That is a gain of at least $200-million if a total loss of $200-million is assumed on the NHL's investment in the Coyotes. However, this would create legal headaches with lenders holding the Coyotes franchise as collateral and probably the NHL Players’ Association. So the NHL’s longest limbo dance will continue for now but a nasty choice could be coming quickly. 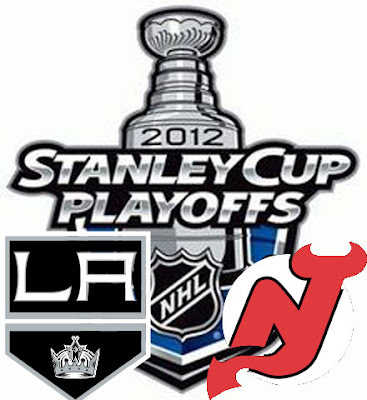 It would appear that the NHL and the city of Glendale are running out of options, there are only three options. 1.) Find a buyer that wants to keep the Coyotes in the Phoenix area - they have a potential buyer but there seems to be a few sticking points that could slow up the sale. 2.) move the team out of the Phoenix area to another city that wants to have a NHL team. 3.) Fold the team. This weekend the free agent signing period will kick off on Sunday July first. There are some big name former WCHA players out there on the market looking to sign new deals. With all of the negative news stories making up today’s news cycle I thought I would focus on the positive, NHL Hockey. According to Michael Russo - the oft injured power forward - Guillaume Latendresse's playing days with the Minnesota Wild are now over - Latendresse will test the free agency market starting on July first. From the Same article Russo says that, "The Wild's contract offer to Parise on Sunday will be, let's just say, absolutely colossal." As a Wild fan this makes me happy. According to the AP - A judge has upheld the Glendale City Council's vote on an arena lease agreement with a prospective owner of the Phoenix Coyotes. Former Fighting Sioux defenseman Brian Lee has been resigned by the Tampa Bay Lightning. Lee’s contract is a two year deal, and also a one-way contract. Monday Links - hockey almost over for the summer. There are a few stories of interest today on the internet about Stanley Cup Finals. There is one thing that we know – the Stanley Cup Playoffs are going to last one or two more games and then the NHL will be in full summer mode. This season Stanley Cup Finals has been one of the most uneventful playoff series in a very long time. There has been nothing in the way of big hits that need extra scrutiny or villains like the Canucks Alex Burrows that need to be vilified. Can Devils captain Zach Parise heat up? After checking in with seven goals and 14 points in the first 17 games of this postseason, the production has dropped off for Parise. He doesn't have a point in five games and has a plus-minus rating of minus-five in this stretch. impressive total. In my opinion Martin Brodeur is one of the best goalie in my lifetime. Brodeur has won three Stanley Cups, two Olympic gold medals, four Vezina Trophies and a Calder Trophy. He is the only goalie to put together eight 40-win seasons and no netminder has played in more games (1,191), won more (656) and recorded more shutouts (163). With his victory on Saturday, Brodeur recorded his 17th win in a Stanley Cup final to move into a tie with New York Islanders great Billy Smith on the all-time final wins list. It would appear that the Phoenix Coyotes are going to be staying in Glendale, Arizona. I know, I know, we have heard this one before – it will be interesting to see how this story plays out and if the Yotes are finally going to stay in Phoenix area. GLENDALE, Ariz. -- The Phoenix Coyotes' long wait for an owner might finally be over. Glendale's City Council approved a 20-year lease agreement for Jobing.com Arena on Friday, clearing the last major hurdle in the sale of the Coyotes to a group led by former San Jose Sharks CEO Greg Jamison. The council ratified the 20-year, nearly $325 million agreement by a 4-2 vote after a sometimes-contentious six-hour meeting attended by Jamison, NHL Commissioner Gary Bettman and Deputy Commissioner Bill Daly. "We've been doing this a long time," Bettman said. "We believe this team, the Coyotes, can be here with a new ownership in place and should be here." The New Jersey Devils Power Less Play went 0-15 before Parise scored on Saturday night for the Devils to give them a 1-0 lead in game 5. The New Jersey Devils are still in a tough spot being down three games to two. Tom Gulitti, Fire and Ice --- “I don’t see any reason why we should be overconfident or satisfied,” Devils captain Zach Parise said. “We’re still down 3-2. We’re still in the same spot we were. One loss and we’re done. I think just having gotten a couple wins, we’re playing with more confidence, but I don’t think that’s making us feel overconfident. We still know how great of a team they are and how much better we need to play to make this thing even go further. You had to wonder after listening to some the comments that were made by the Phoenix Coyotes - during post game interviews - if there was going to be repercussions from the NHL. I understand that the refs weren't as good as they could have been. Pierre LeBrun, ESPN.COM --- The NHL is further investigating the postgame actions and comments of some Phoenix Coyotes players after their season-ending, overtime loss in the Western Conference finals, league executive vice president Colin Campbell told ESPN.com on Thursday. The league is not pleased with some of what happened after Dustin Penner's overtime winner Tuesday night for the Kings, including Coyotes center Martin Hanzal skating aggressively toward a referee and making a gesture, goalie Mike Smith throwing his stick and Keith Yandle's postgame comment in which he suggested it was no surprise the calls didn't go his team's way given the similar colors of the refs' and Kings' uniforms. Most of us that watched the games this season during the Stanley Cup Playoffs realize that there have been a lot of questionable calls made on the ice in "all" of the series to date. That being said, there is a level of professionalism that NHL hockey players are supposed to exhibit and some of the Coyotes' post game comments were over-the-top and questionable.